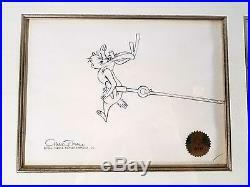 Featured in this listing is an original production pencil drawing from the 1966 production of Dr. Seuss' How the Grinch Stole Christmas directed by Chuck Jones alongside a single limited edition animation cel. 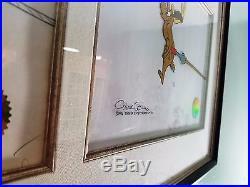 The cel and drawing depict Max in his reindeer costume. 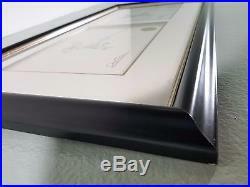 There is a minor scuff in the plexi glass that is photographed in picture 4. 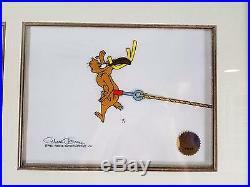 The Cel was displayed in an adult non-smoking home. 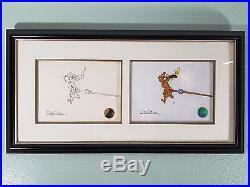 Please review the photos and send any questions you may have about this listing. 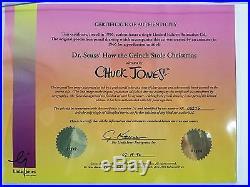 The item "Grinch Stole Christmas Max Original Pencil Drawing & Cel SIGNED Chuck Jones COA" is in sale since Saturday, September 29, 2018. 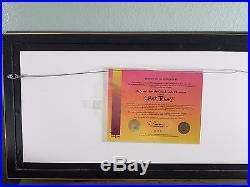 Dimensions: 17 5/16" 33 1/4"